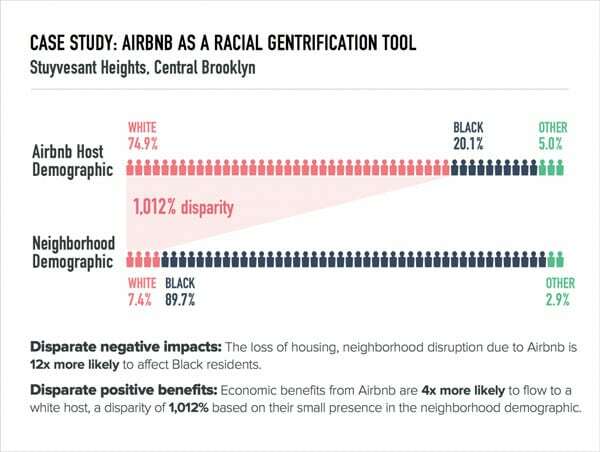 In 2016, as Airbnb began to emerge as the go-to company for home-sharing, it was blindsided by a publicity scandal on Twitter called #Airbnbwhileblack, in which Black customers detailed racist encounters with the company’s hosts. Shortly after the hashtag gained national attention, Harvard University released a study showing that Airbnb guests with traditional Black names found it harder to book rentals. For a company whose brand relied on the generosity of strangers, Airbnb had to move quickly and decisively to mitigate the damage. After meeting with a range of community groups and experts, including former US Attorney General Eric Holder, Color of Change, the National Urban League, and the American Civil Liberties Union, the company released a report detailing its plan to build a more inclusive company. Under its Diversity Rule policy, Airbnb would work to recruit more hosts and guests from underrepresented communities. How exactly would the company build credibility among Blacks? By partnering with the NAACP, a 108-year-old nonprofit known for its anti-discrimination work. In addition to receiving street cred from the NAACP, the company also gained access to an untapped market of potential customers. In return, the NAACP would receive 20 percent of earnings for each host it recruited. Similar to Airbnb’s partnership with WIN to eradicate homelessness in New York, the company’s most recent initiative with the NAACP was not created solely out of altruism. Many could see this alliance as a reactionary measure due to bad publicity and a ploy to gain access to a potential crop of new customers. Furthermore, concerns over Airbnb being used as a tool for gentrification were not addressed in the joint statement announcing the partnership. Research supports this assertion. In a report issued by the Los Angeles Alliance for a New Economy (LAANE), in 2015 renters incurred more than $464 million in increased rent due to short-term rentals. Research conducted by Puget Sound Sage in 2016 estimates that Seattle could lose approximately 1,600 long-term rental units within three years if short-term rentals continue to grow at its current rate. Despite accusations of causing gentrification, Airbnb has continued its efforts to appeal to Blacks. In a 2016 report released by Airbnb, the company uses positive testimonials of middle class Black homeowners to target this demographic. The report also states that in 30 of New York’s predominantly Black neighborhoods, “the number of Airbnb guests grew 78 percent year over-year, versus 51 percent citywide.” However, as NPQ has reported in the past, Airbnb neglects to mention the removal of long-term rentals off the market in favor of short-term rentals as a major reason for the increase in home-sharing. One year since the partnership was announced, the true benefits have yet to be seen. The initial launch took nine months to execute because of the need to find strong NAACP chapters located in areas with potential for Airbnb growth. In addition to Miami and Los Angeles, where the first rollouts occurred this spring, cities such as Chicago, San Francisco, Boston, and New York are currently being considered.